The run higher is over for US crude oil. After hitting a one month high during the previous day, the market was clearly a bit high for investors' liking. There was no particular reason to quantify the drop; data has been fairly mixed, if not positive. Any market that is sitting at longer-term highs or lows will tend to be a bit more jumpy. The July futures contract slipped $0.33 to $103.74. Gold enjoyed a $10 spike on the back of poor Initial Jobless Claims before succumbing to better Manufacturing and Housing data. Despite the greater volatility, relative to the past few sessions at least, the precious metal is still sitting close to the $1,300 level. Ultimately, spot gold closed just $1 higher at $1,294. When is this run in crude oil going to end? West Texas Intermediate rose to a one month high yesterday as a report showed that US supplies tumbled, with imports hitting a 17 year low. A Chinese manufacturing gauge also came up trumps to further support the price. The contract for July delivery settled up $1.74 at $104.07, a daily gain of almost 2%. Gold fell slightly yesterday as a stronger dollar and a positive reaction from equities to the Fed minutes continued to weigh on market upside. However, a relaxation of Indian import rules is expected to come into play in the future which prevented more severe falls. Gold futures for June delivery closed down $6 at $1,288. The run for oil continues. Yesterday, the WTI contract for July delivery settled up $0.22 at $102.33. 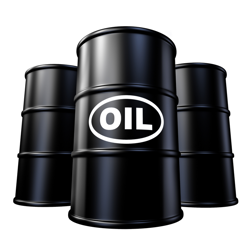 The good news for investors doesn't stop there either as US crude has gained another $0.60 overnight on reports that oilfields in Libya remain closed. The gold market remained below the $1,300 level yesterday, closing just $2 higher at $1,295, as it awaits the minutes from last month's Fed meeting later on today. The minutes should have a big impact on the precious metal as we get some details of how Janet Yellen and her troops expect to change monetary stimulus in the future. Hopefully we can expect to see some volatility at last. Amid speculation that crude supplies will fall further at the biggest storage hub in the US, West Texas Intermediate continued on its run higher on Monday. US crude is now trading near a four week high. Futures for June delivery, which actually expires today, closed up $0.58 at $102.15. It was a reasonably volatile day for gold and, whilst the session ended back down where we started, there was plenty of opportunity throughout the day. On a day short of data, gold created an almost exactly inverse graph to stocks to give the text books an almost perfect risk on/off case study. Spot gold closed up $2 at $1,293. The price of oil is going to be increasingly driven by the goings on in Libya this week where violence has flared up again. Fears are that supply will be interrupted have already had a positive effect on WTI in early morning trading. This is a strong start after a good week; futures for July delivery closed Friday's session $0.50 higher at $101.57. Gold still feels very attached to the $1,300 mark, now trading around $1,295. A decent move up or down seems hard to come by. Unsurprisingly enough, following two days of moves lower on Thursday and Friday, the market is ticking up in early trade this morning. Nevertheless, news of hedge funds cutting bullish bets should give reason to tread cautiously.